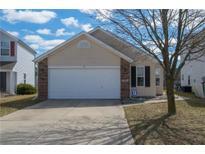 Countryside - Low Taxes, Minutes from SR 32 and SR 31 which allows for easy access to downtown Carmel, Noblesville and Indy. MLS#21627949. RE/MAX Ability Plus. Community offers: fit./workout center w/ classes, tennis/pickle ball cts., 3 pools, 15 acre park, playgrounds, walking paths, and dog park. MLS#21628250. eXp Realty, LLC. Minutes from Grand Park, shopping, dining & recreation. Award winning Westfield Washington schools! MLS#21627506. Berkshire Hathaway Home. From your back covered patio, enjoy all the amenities that Harmony has to offer: fitness/workout center w/ classes offered, tennis/pickle ball courts, 3 pools (including kiddie & adults-only), 15 acre park, playgrounds, walking/jogging paths, & dog park. MLS#21626964. CENTURY 21 Scheetz. Enjoy the summer sunsets on your covered porch. Upgrades galore. MLS#21627542. Drees Homes. Move right into this gem on one of the largest lots in Harmony! MLS#21626858. F.C. Tucker Company. Enjoy being active in this great neighborhood with Pool, Playground, Tennis and Basketball Courts. MLS#21627572. ERA Real Estate Links. Carriage house has a brick floor in the 3 car garage, with an apartment upstairs, also with an exterior front porch. MLS#21626746. F.C. Tucker Company. Oak Ridge Crossing - Large lot with over a 1/3 of an acre that features large custom patio. Great neighborhood, close to everything! MLS#21627189. Vision One Real Estate. Springdale Farms - Minutes from Grand Park, and easy access to 31 & 32 for a quick commute. MLS#21622604. Keller Williams Indy Metro NE. Crestview - Located Near The Midland Trace Trail, This Open Concept 2 Story Home Is Move In Ready!master Bedroom Is Spacious And So Is The Walk In Closet And Large On Suite Complete With Double Sinks, New Granite And Fresh Paint.The Cozy Loft Is Perfect For A Second Living Space Or A Place To Get Away!the Kitchen Is Chalk Full Of Cabinet Space And Counter Tops And Overlooks The Neighboring Dining Room For Perfect Layout.You Can Enjoy The Outdoors With Your Comletely Private Fenced In Back Yard And New Paver Patio And Fire Pit.Additional Updates And Conveiniences Include:newer Roof, New Water Softner & Heater,Fresh Paint,Surround Sound In Living Room Ceiling Fans,New Flooring On Main Level,Close Proximity To Shopping,Cultural Trail And Restaurants. MLS#21626764. Keller Williams Indy Metro NE. Full basement W/ Large Entertaining Space, Bar & Wine Storage, 6th Bed & Bath. MLS#21623237. Keller Williams Indpls Metro N.
It also will have a huge basement with 9' walls, a 2 car attached garage and a 2 car detached garage. MLS#21627097. Drees Homes. Tremendous storage & custom built-in including in the office, light-filled laundry & mud room area add must-see beauty & function. MLS#21626772. F.C. Tucker Company. Enjoy all the amenities Harmony has to offer! MLS#21626921. Weekley Homes Realty Company. This home is truly a Must See! ! MLS#21626465. ERA Real Estate Links. Beautiful chair rail and panelling throughout this home and extra large bedrooms were some of the things the current owner loved when they purchased the home and to top things off they added a loft above the entire garage for seasonal storage and hideaway items. MLS#21625721. WKRP Indy Real Estate. Out back you can relax on the new deck or by the fire pit with included Adirondack chairs! MLS#21626233. ERA Real Estate Links. Oak Manor - The elegant features are too long to list, but this executive style home is ready for its new owners! ! MLS#21625829. Keller Williams Indy Metro NE.